Yes, We Do Bathroom Renovations Too! Making use of dead space in a corner is one of the best ways to make a kitchen more functional. Here, the sink is moved from under the window and placed in the corner of the peninsula. 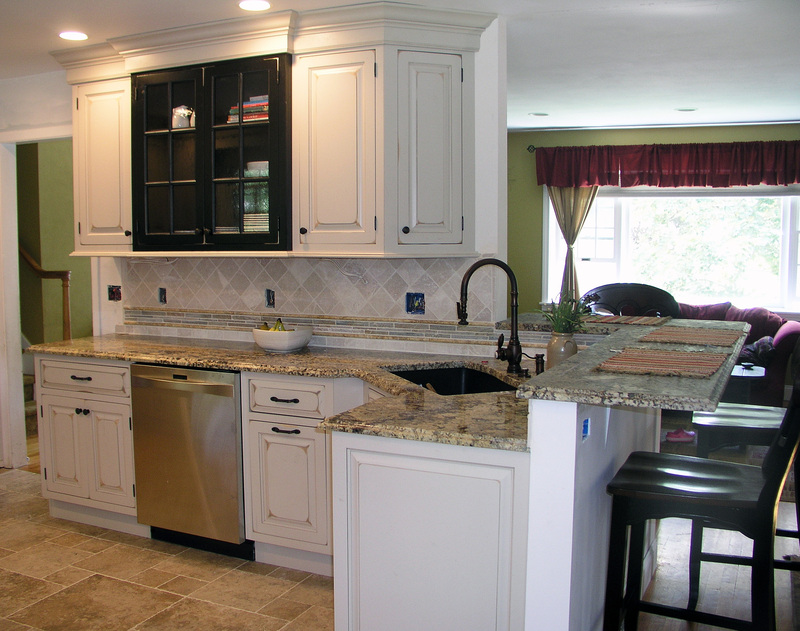 This created a better work space around the sink and eliminated the need for a blind corner cabinet. Blind cabinets are corner cabinets that do not wrap around the corner. Instead they create a blind dead space. Sometimes the use of a blind base cabinet cannot be avoided. However, whenever a blind base cabinet can be removed I recommend it. This design solution also allowed us to incorporate a double wall oven unit. 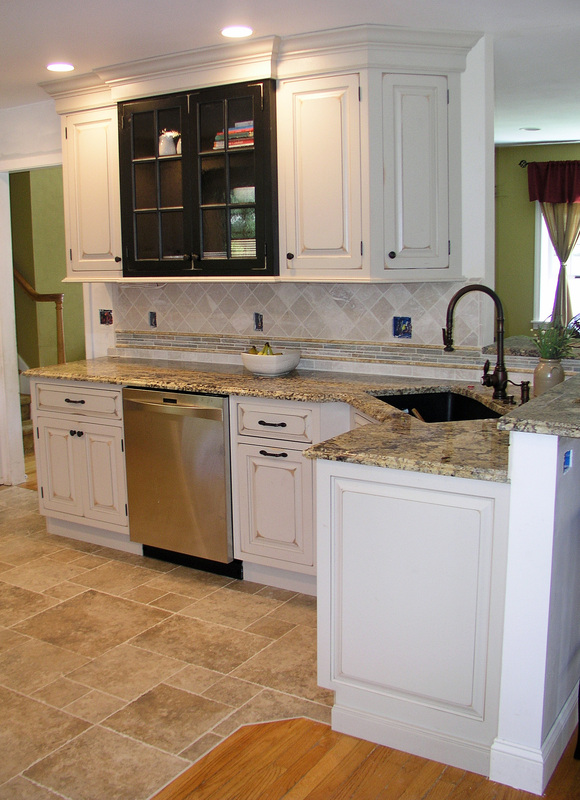 This project turned out to be a very successful home improvement modeling project. Yes, We Do Bathrooms Renovations Too!